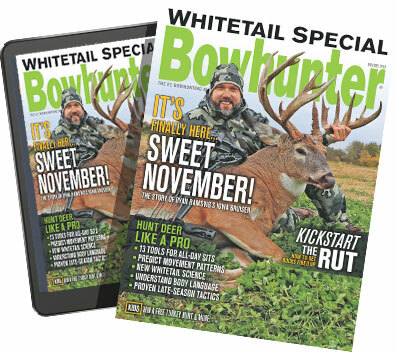 Watch more exercise, how-to and training video tips from Bowhunter TV here. Lower back pain (LBP) spoils way too many adventures, and it's no surprise that 85 percent of all adults will suffer LBP at some time in their lives. Furthermore, LBP is the second leading cause of visits to doctors' offices. So, as an active bowhunter, you must take action to reduce the risk of injury to your lower back. The pain may be most severe immediately after injury, or it may worsen gradually over a few hours. In most instances, back pain as a result of strain or sprain can be resolved following a conservative course of treatment – usually within two to six weeks – provided there are no serious underlying medical conditions. To prevent injury and subsequent LBP, you must build and maintain the strength and flexibility of the muscles, tendons, and ligaments that support your back and spine. You can do this through core-strengthening exercises. By conditioning your trunk muscles, you develop a "natural corset" to support your spine and improve function. In addition to the exercises shown in the video above, perform the following movements in consecutive order, several times per week. Lying on your stomach with forearms on the ground under your chest, push off of your elbows, supporting your weight on your forearms and toes. Hold a static position for 10-30 seconds. Push your neck and sternum as far up and away from your forearms as possible while keeping your abs drawn in. You will feel it in your shoulders and trunk. Avoid sagging or bending at the hips and spine. Lie on your side with your forearm on the ground and your elbow under your shoulder, with your feet stacked together. Push your forearm away from your body, lifting your hips into the air and supporting your weight on your forearm and stacked feet. Hold a static position for 10- 30 seconds on each side. Keep your body in a straight line, and keep your abs tight. You will feel it in your shoulders and trunk. Lie face up on the ground with your arms crossed, knees bent, toes flexed toward your knees, and heels on the ground. Lift your hips off the ground until your knees, hips, and shoulders are in a straight line. Hold for 10-30 seconds. Make sure to squeeze your glutes at the top of the movement. You will feel it in your glutes, hamstrings, and lower back.